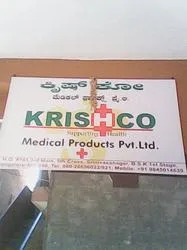 Krishco Medical Products Pvt. Ltd.
Krishco Medical Products Pvt. Ltd. came into existence in the year 1996 at Bengaluru in Karnataka, India. We are the leading Manufacturer,Supplier, Distributor, Wholesaler, Retailer, Importer. 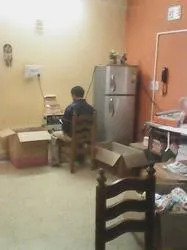 We are engaged in distributing a wide range of Medical Equipment. Our range includes Kiwi Cups, Silicon Vacuum Cups, LH Testing Kits, Soft IUDs, Gynetics, Pregnancy Test Kits, Disposable Cuscos Speculum, Gyno Lights, Diapers and a lot more. These products are highly appreciated for their excellent quality, high reliability, safety and cost effectiveness. Our products are extensively demanded by leading maternity homes, hospitals, clinic and nursing homes across the country. 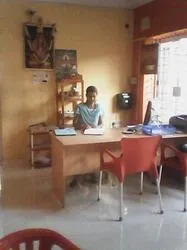 Owing to quick responses and timely deliveries, our clientele has been extremely satisfied in dealing with us. We are proud to have a dedicated and diligent team of professionals that has been standing with us as a pillar of strength. Our procurement agents have in-depth knowledge of prevailing market trends and industrial standards. They procure products with utmost attention on the quality standards of vendors. Moreover, the upcoming demands of clients are kept in mind by them while sourcing products. Our sales & marketing executives work in close association with one another to extend our distribution network nationwide. Our company has sound infrastructural set up, which comprises administration unit, sales & marketing unit and warehousing unit. Our warehousing unit is the most spacious unit of our infrastructural set up. All the procured goods are safely stored herein till the need to dispatch them occurs. Furthermore, our personnel periodically clean and organize this unit in order to maintain a dust and dirt free environment. We import our product range from USA, Belgium and U.K. Our prime supplier is Gynetics. We are continuously progressing under the adroit supervision of "Mr. Shyam N (CEO)/ Mr. M K Narrayan (Director)". Owing to his valuable insights, leadership skills, sharp business acumen and profound industrial experience, he is able to manage work operations in an efficient way. Since day one of our inception, he has wholeheartedly contributed his time and expertise to the growth and advancement of the company. Quality is an indispensable part of our organization and we place maximum importance on the high standards of offered equipment. The products distributed by us across the Indian market are sourced from licensed and eminent vendors only. We have developed a well-equipped quality control unit, wherein each product is stringently tested on different physical and chemical parameters. Finally, approved products are sealed and dispatched within the set time constraints. “To improve the life styles of our patients." All our actions are aimed at rendering complete satisfaction amongst our customers. We are involved in offering best quality Products. Our products are developed as per the medical requirements and demands and can be availed at market leading rates. Our Products are quality approved and highly demanded in the market. The products supplied by us in the market are procured form reliable vendors, who are judiciously selected by our business heads. Owing to in-depth market surveys, we are able to make right decisions pertaining to vendor selection. Our rich vendor associations enable us to efficiently fulfill the bulk requirements of clients. Our company as acquired a commendable position in the market due to the unmatched quality of our medical equipment. Right from sourcing products to delivery at clients’ end, our operations are systematically planned and executed. Moreover, our sales staff caters to the extensive demands in a professional manner and thus, renders them maximum satisfaction.